My mama style has changed significantly since Dylan was born. As I look around shops I have to think about what is practical as well as what looks good. 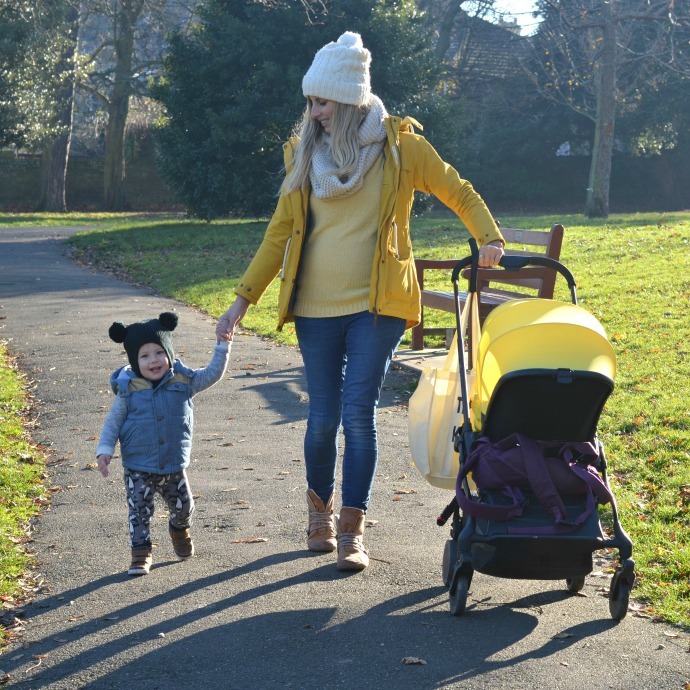 At the moment things need to be suitable for breastfeeding in, easy to throw on for early morning school runs and warm enough for standing around in the park. 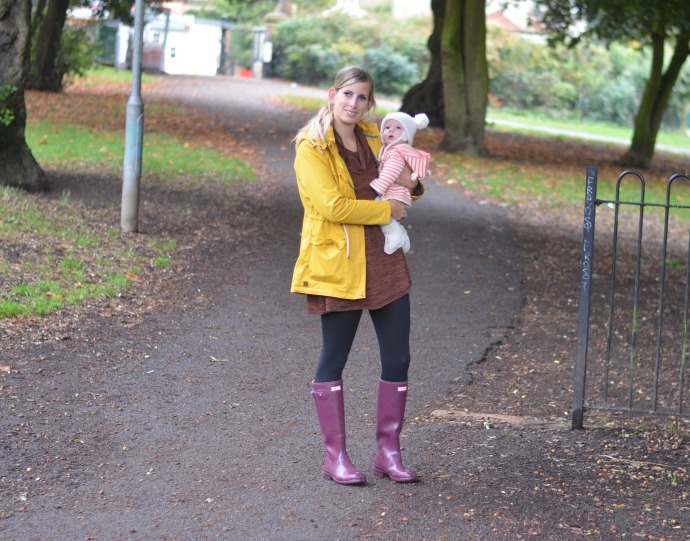 A yellow coat has been on my wishlist for ages, I love the colour and with the daylight hours shrinking I like to feel a bit bright. I couldn't resist this one from Lighthouse when they asked me to pick something and I just love it. It is warm and light at the same time, more than just a raincoat but not a thick winter coat. It keeps me dry when I can't hold an umbrella and I know Dylan can spot me when he runs out of his classroom after a day at school. I pair it with everything, I think I have worn this coat everyday for the past few weeks. I love Autumnal colours so I often have navy, browns and mustard colours on, but I firmly believe that yellow goes with everything! Thanks to Lighthouse for sending me this beautiful coat, I need to check out the kids section next!